Composed by David Robidoux and Sam Spence. Arranged by Michael Brown. Young Concert Band. TV. Softcover. Published by Cherry Lane Music (HL.2501566). 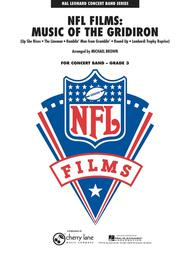 Any serious fan of professional football is aware of the famous films documenting important games. As distinctive as the films themselves and their deep-voiced announcer are the classic musical themes that accompany the action. 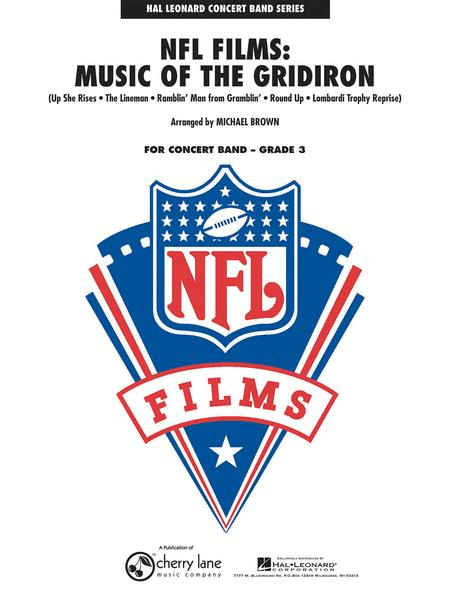 Bring the flavor of the gridiron to your next concert with this entertaining and well-written arrangement. Includes: Up She Rises • The Lineman • Ramblin' Man from Gramblin' • Round Up • Lombardi Trophy Reprise.